In sombre news for iiNet pirates, the ISP has stated that this Thursday marks the date from which the Federal Court of Australia can ask for the names and addresses of the customers suspected of illegally downloading the Dallas Buyers Club film. Directing the post at customers who are likely to receive letters in the coming weeks, iiNet said that its current legal council will offer all iiNet customers issued with a copyright infringement notice pro-bono legal advice. 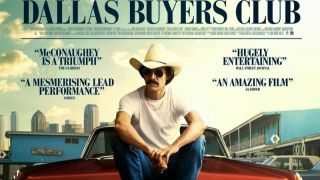 In April, the court proceedings found that the rights owners of the Dallas Buyers Club film, Voltage Pictures, presented enough evidence to grant it preliminary discovery rights to the names and addresses of suspected copyright infringers. Will infringement notices contain 'the black spot'? Though the Federal Court stipulated that it must sign off on all infringement notices, preventing Voltage Pictures from issuing threatening and exaggerated compensation claims to vulnerable individuals, iiNet still recommends that its customers seek legal advice. iiNet continued to say that it will inform each of its account holders directly if it has handed over their details to the courts and will release further information about the pro-bono legal advice when an agreement is reached with the law firm. The constraints afforded by the courts and the parameters of Australian copyright law means that the total compensation suspected infringers are facing, is likely to be no more than the cost of purchasing a copy of the film.